Prescribe Suboxone : Who is a Qualified Physician? This is a summary of the Drug Abuse Treatment Act of 2000. It later was amended to increase the number of patients a physician can treat to 100. It describes who may prescribe suboxone. DATA 2000 permits qualified physicians to obtain a waiver from the separate registration requirements of the Narcotic Addict Treatment Act to treat opioid addiction with Schedule III, IV, and V opioid medications or combinations of such medications that have been specifically approved by the Food and Drug Administration (FDA) for that indication. Such medications may be prescribed and dispensed. The physician holds a subspecialty board certification in addiction psychiatry from the American Board of Medical Specialties. The physician holds a subspecialty board certification in addiction medicine from the American Osteopathic Association. The physician has completed not less than eight hours of training with respect to the treatment and management of opioid-addicted patients. This training can be provided through classroom situations, seminars at professional society meetings, electronic communications, or otherwise. The training must be sponsored by one of five organizations authorized in the DATA 2000 legislation to sponsor such training, or by any other organization that the Secretary of the Department of Health and Human Services (the Secretary) determines to be appropriate. The physician has participated as an investigator in one or more clinical trials leading to the approval of a narcotic drug in Schedule III, IV, or V for maintenance or detoxification treatment, as demonstrated by a statement submitted to the Secretary by the sponsor of such approved drug. The physician has other training or experience, considered by the State medical licensing board (of the State in which the physician will provide maintenance or detoxification treatment) to demonstrate the ability of the physician to treat and manage opioid-addicted patients. The physician has other training or experience the Secretary considers demonstrates the ability of the physician to treat and manage opioid-addicted patients. 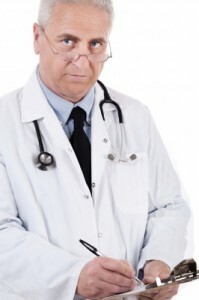 In addition, physicians must attest that they have the capacity to refer addiction treatment patients for appropriate counseling and other non-pharmacologic therapies, and that they will not have more than 30 patients on such addiction treatment at any one time unless, not sooner than 1 year after the date on which the practitioner submitted the initia notification, the practitioner submits a second notification to the Secretary of the need and intent of the practitioner to treat up to 100 patients. For the 3-year period after the passage of DATA 2000, States may not preclude practitioners from dispensing or prescribing eligible medications for opioid maintenance or detoxification treatment. The effect of the three-year provision in DATA 2000 is to put into abeyance current State law or regulations prohibiting physicians from prescribing Subutex or Suboxone for the treatment of opioid addiction, and to prevent State regulatory agencies from prohibiting prescribing by regulation. The FDA approved Subutex and Suboxone on October 8, 2002. A 2002 appropriations bill amended the DATA 2000 three-year State preemption provision to start on the date that the FDA approved Subutex and Suboxone. Thus, until October 8, 2005 States may not preclude practitioners from dispensing or prescribing eligible medications for opioid maintenance or detoxification treatment unless the State passes legislation to that effect. The Secretary and the Attorney General are authorized to evaluate the effectiveness and impact of the program and to discontinue it with 60 days notice. If you feel you need help and are looking for a doctor who can prescribe Suboxone, click here for our buprenophine physician registry. If you think you may need more intensive treatment such a methadone detox, other opioid detox, or getting started on buprenorphine inpatient, click here for our state opioid treatment center registry. Does anyone know a Doctor that can prescribe suboxone to treat … – greeneyedgirl asked: I am currently going to a treatment center for opiate addiction. They give me suboxone, which keeps me from using opiates and I see a. Next post: Suboxone Treatment: Where Do You Get A Suboxone Prescription ?